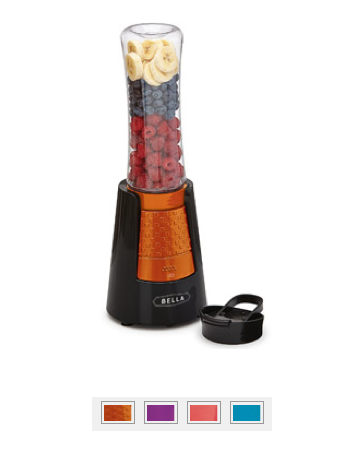 Bella Breakfast Collection Rocket Blender Sport As Low As $9.88 + FREE Store Shipping! You are here: Home / Great Deals / Bella Breakfast Collection Rocket Blender Sport As Low As $9.88 + FREE Store Shipping! WOW! I just spotted this nifty kitchen gadget on CLEARANCE! Make smoothies, milkshakes and more with this fab Bella Breakfast Collection Rocket Blender Sport on sale for as low as $9.88 – $12.77 right now! And they have some super cute colors to choose from, too! Shipping is FREE when you select Site-to-Store Pick Up!